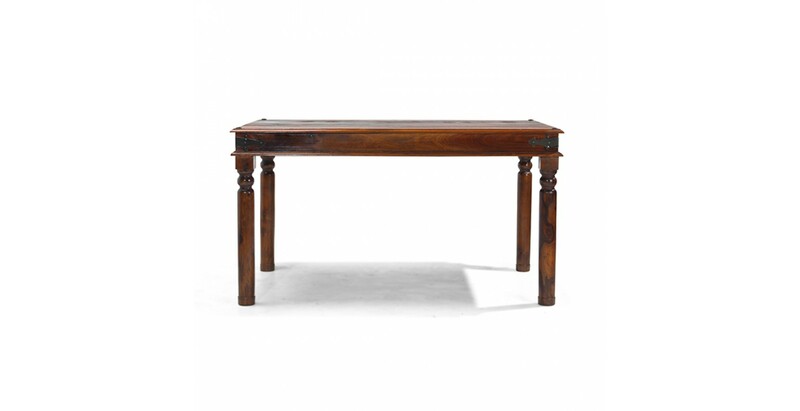 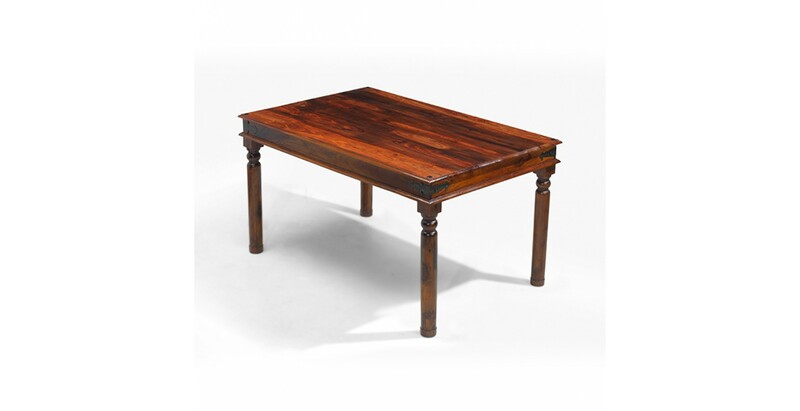 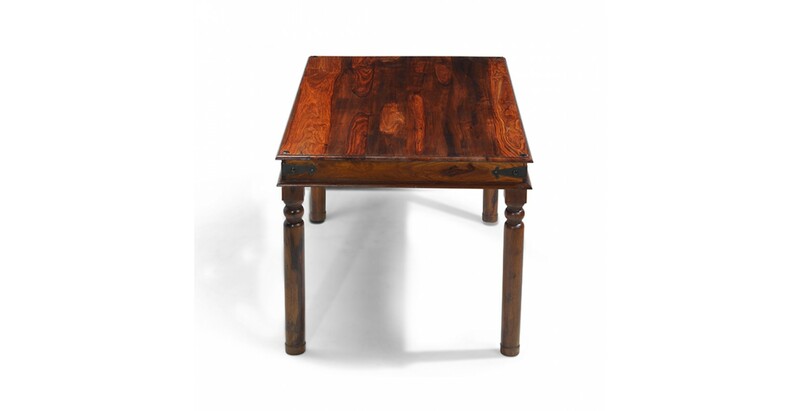 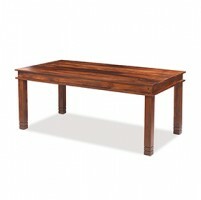 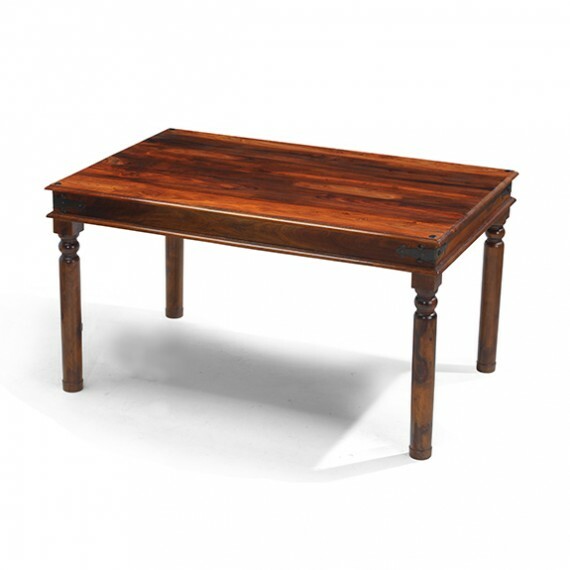 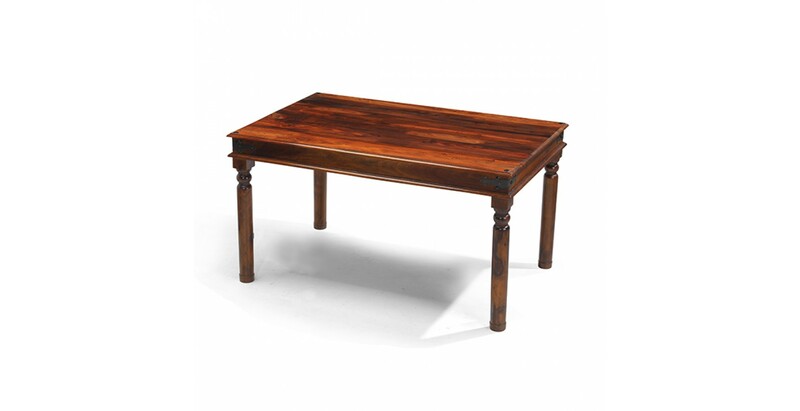 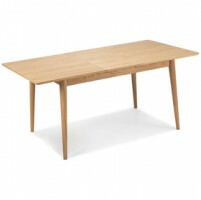 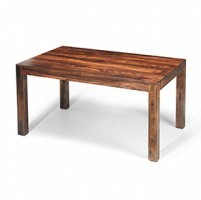 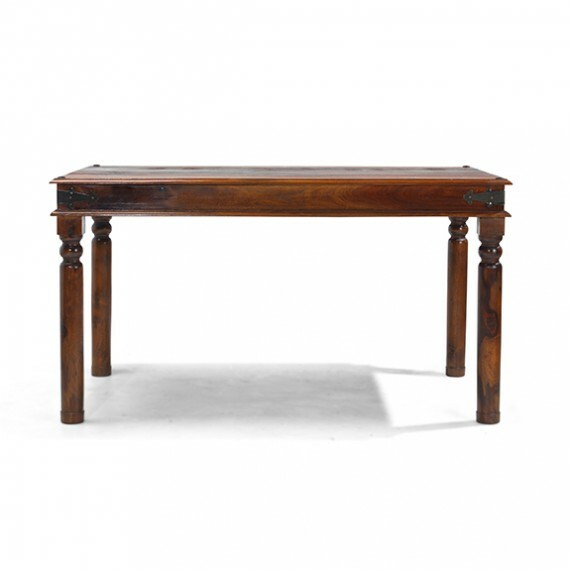 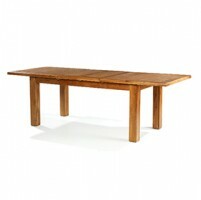 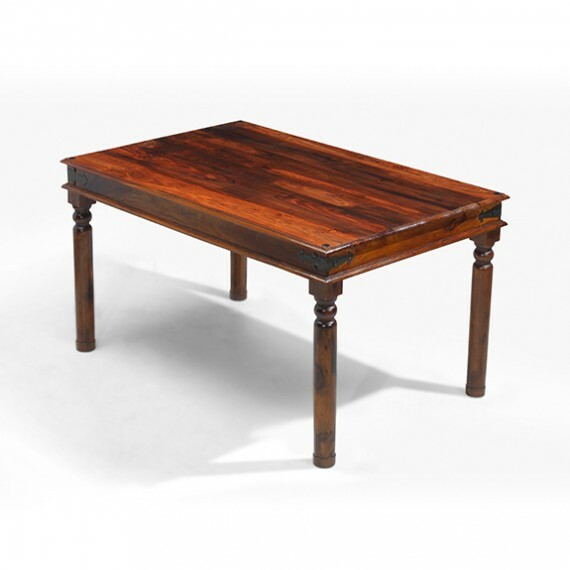 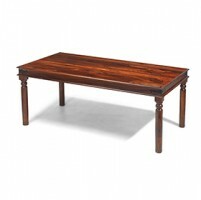 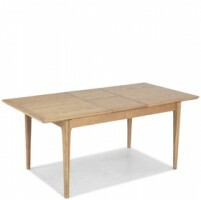 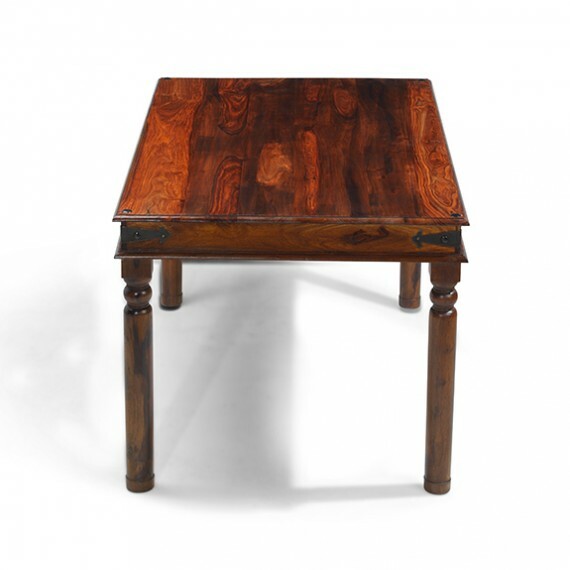 Classic Indian craftsmanship meets practical modern styling in this gorgeous dining table. 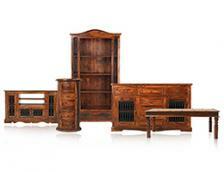 Inspired by colonial furniture, it's more than up to the frantic busyness of contemporary family life. 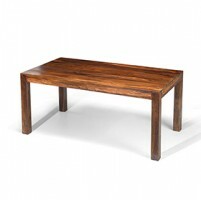 It's touches like the iron corner brackets and studs and the elegantly turned legs that hark back, but because it's been robustly handmade from durable Indian sheesham wood and finished with a wax lacquer to protect against spills and slops and showcase the natural warmth and unique character of the timber, it's perfectly suited to how we live now.